The newly refined 41 Express is an impressive offshore fishing machine that combines striking lines and dramatic Carolina-style flare, with unparalleled interior design, innovation, and craftsmanship. Designed to handle like a sports-car in the toughest of seas, the rock solid construction of the 41 speaks for itself and the elegant refinements will make serious offshore fishing both enjoyable and comfortable. yacht like appeal and makes for easy handling when fighting fish or at the dock. The oversized windshield allows great visibility and excellent protection from the elements and the wrap around seating provides comfort for the crew when running out and back from the offshore grounds. The modern cabin has all the creature comforts one could imagine. Appointments include a spacious forward stateroom, oversized galley, head with separate shower, and a “convertible settee” that provides additional sleeping accommodations for three. The new “open-air” layout provides also incorporates abundant storage for rods, gear, clothes, and food and drinks. 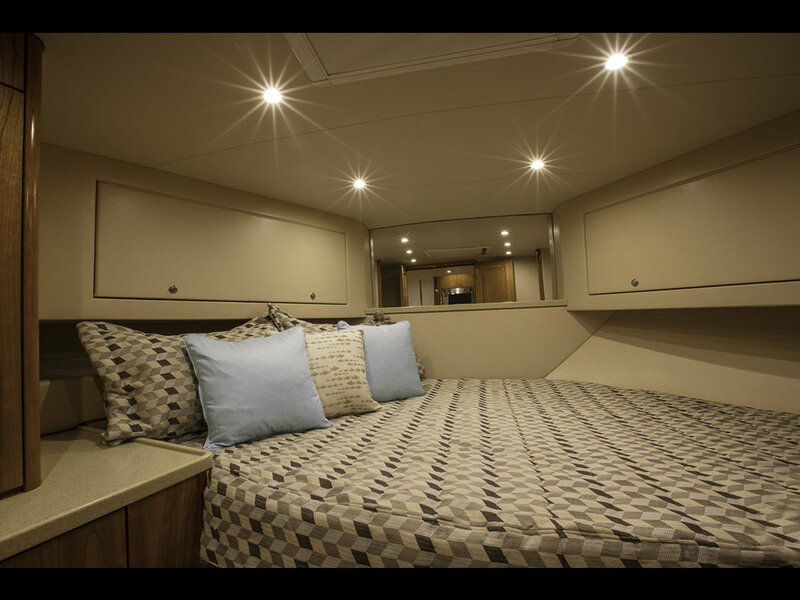 Everything about this layout proves that luxury and fishability can co-exist in one stunning and well refined sportfishing package. Cockpit Size: 82 sq. ft.